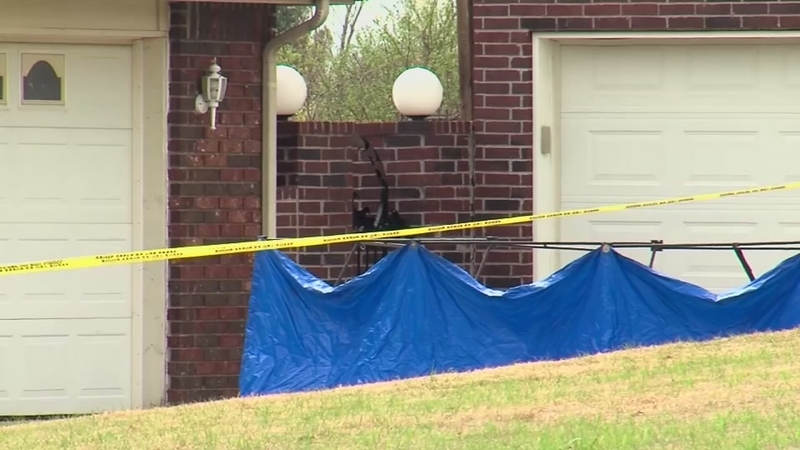 BROKEN ARROW, Okla. -- An Oklahoma prosecutor said Monday no charges will be filed against a 23-year-old man who fatally shot three teenage intruders in his home, but that the woman who drove them there is being charged with first-degree murder. Authorities say Zachary Peters was home alone when he shot Maxwell Cook, Jacob Redfern and Jakob Woodruff with an AR-15 rifle on March 27 at his home just outside the Tulsa suburb of Broken Arrow. "It is the opinion of this office that Zachary Peters acted justifiably ... when he used deadly force to defend his home," said Wagoner County Assistant District Attorney Jack Thorp. "It was clear he operated completely within the law when he used deadly force," Thorp later told The Associated Press. The spellings of the names and the ages of the teens differ in some public records, but Wagoner County Deputy Nick Mahoney said the latest information is that Cook and Redfern were 18 and Woodruff was 15. Wagoner County Sheriff Chris Elliott said he supports the decision not to charge Peters. Oklahoma is one of 24 states which have laws allowing citizens to shoot someone if they believe the person threatens their safety, according to the National Conference of State Legislatures. However, an Oklahoma City pharmacist was convicted of first-degree murder in the 2009 fatal shooting of a 16-year-old robber inside the pharmacy. Prosecutors said the teenager was left unconscious by one shot from the pharmacist, who then chased another robber outside the store before returning inside, picking up a second gun and shooting the still unconscious teen several more times. Thorp also said Elizabeth Marie Rodriguez, 21, of Oologah, was charged Monday with three counts of first-degree murder and two counts of burglary in the case and is jailed without bond. Oklahoma law allows a person to be charged with murder if they take part in a crime in which people are killed, even if the person does not take part in the slaying. Court records do not list an attorney for Rodriguez, but she has acknowledged driving the three to the home and waiting in a vehicle outside, and said while she understands Peters was protecting his home, she believes he could have shot the three in the legs. "I won't take responsibility for the murders, I won't. I feel guilty, but I don't feel responsible," Rodriguez said in an interview last week with ABC's "World News Tonight with David Muir." Elliott said the three were wearing masks, hoodies and gloves and that brass knuckles and a knife were found among their possessions. "We do know at this time that Rodriquez had some indirect knowledge of the Peters' home and she believed there were expensive items inside the house," Elliott said, while declining to elaborate. Rodriguez has said another person was with her outside the home, but would not identify the person. Mahoney said investigators have found and questioned that person, but have made no arrest.